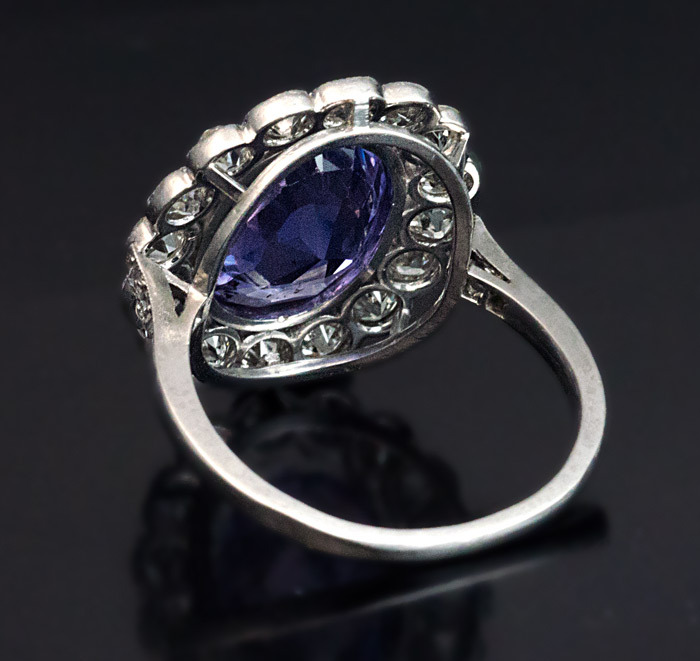 The milgran platinum ring features a 5.41 ct natural sapphire with an unusually bluish-purple color. 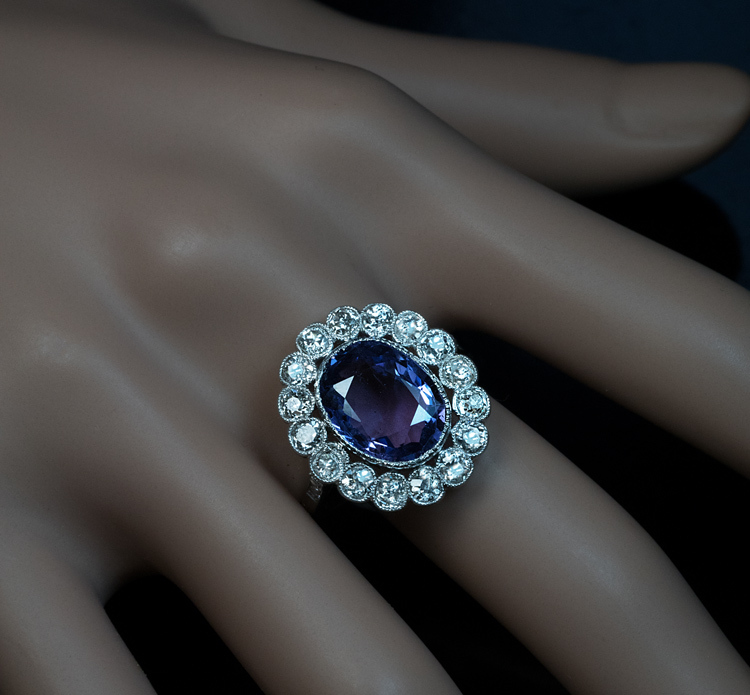 The sapphire is framed by 16 sparkling old European cut diamonds (I-J color, VS2-SI2 clarity). 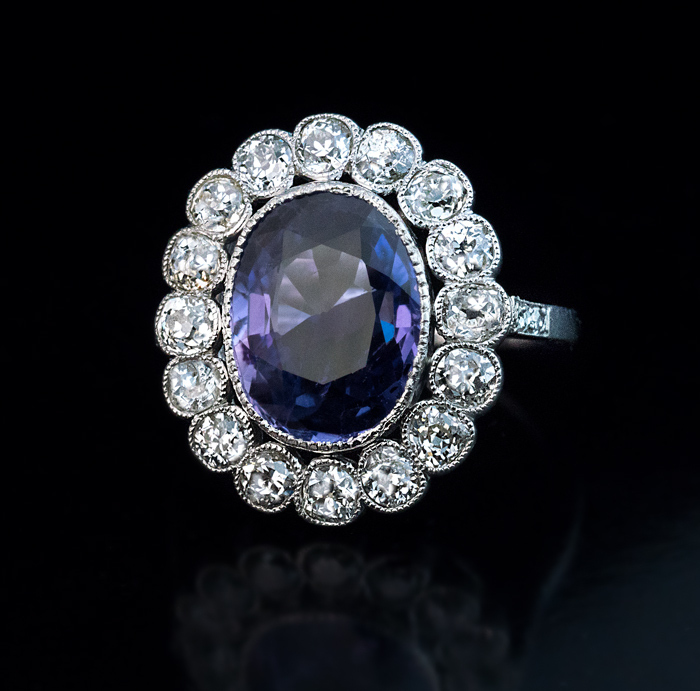 The shoulders of the ring are set with six old rose cut diamonds. 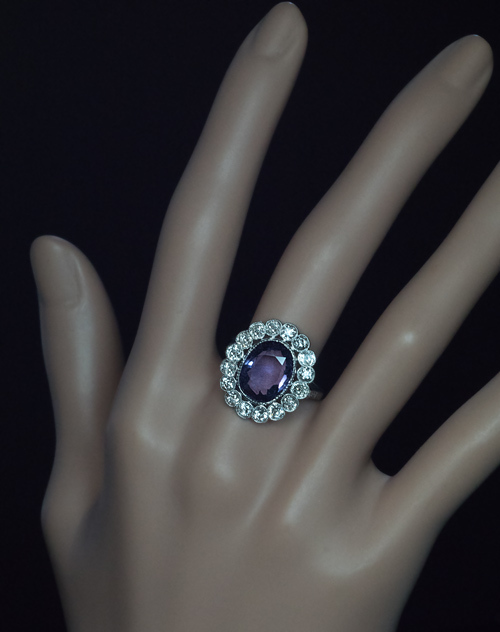 The ring is marked with a later Russian assay mark for 950 platinum.